Protect you and your family’s financial future with the right North Carolina Disability Insurance. Call 866-869-3335 To Get the Right Disability Insurance Protection For You at the Lowest Cost! How long could you continue to pay your mortgage if you were unable to earn money? Would you have to borrow money from your retirement savings if you were disabled? Would you be able to maintain your current lifestyle if you were unable to earn an income? If any of your answers to these questions concern you, you need disability insurance! Fact: You are more likely to be disabled before you turn 65 than dying prematurely! Most people carry life insurance, car insurance and homeowners insurance. Unfortunately, many do not realize that the need for disability can be much greater. 1 in 5 workers are out of work for at least a year before turning 65. 1 in 3 people miss work for at least 90 days due to a disability and most employers do not provide insurance for disability. Many people incorrectly believe that they will be covered by Social Security or Workers Compensation Insurance. Unfortunately, this is not always true. Social Security is often difficult to obtain because of the many restrictions. Workers Compensation Insurance only covers if you are injured on the job. Which leaves those without Disability Insurance forced to deplete savings to cover living expenses. Longer term disabilities can leave you financially devastated. The ability to earn an income is one of your most valuable assets. Your income pays your mortgage, cars, household and living expenses. What would happen if you lost your income. That’s why you should consider protecting your income with Disability Insurance. Disability Insurance can replace a major portion of your income when you are sick or injured and cannot work. 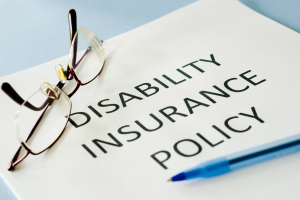 There are many options and this is one time when it is best to sit down and discuss your individual needs with a specialist that provides North Carolina Disability Insurance. Do you need short-term disability insurance or long term disability insurance? 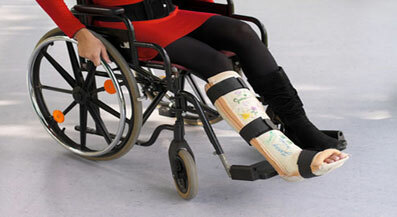 What types of disabilities do you want covered- accident only or accident and sickness disability? How long of an elimination period can you afford to wait before disability benefits kick in? How long of a benefit period do you want covered by disability insurance? You see, this is a decision that must be made with an understanding of all of your options plus getting the right protection from the right insurance company. We can help you make these decisions and provide you with the best options from North Carolina’s top Disability Insurance providers. Call Our Protection Team Today at 866-869-3335 to Talk With a Disability Insurance Specialist Today! “I met Tom Wiecek at a Street Safe Driving School my son was attending. I was impressed by his passion for explaining my insurance needs to me. He followed up with me and was able to increase my coverage to the level I needed , and save me over $200.00 per year! Sheri’s customer service skills are outstanding! She put our plan in motion attending to all of the details making it an absolute joy to do business with Paramount. Now that I have a teen driver I am responsible for, I sleep better at night knowing I have the Paramount Team assuring I have the right insurance coverage.